I saw these shoes on Pinterest complete with a dead link. I nearly cried. I WANT these! Desperately! They are epic and I would totally wear them always. Yeah, I’m such a girl. 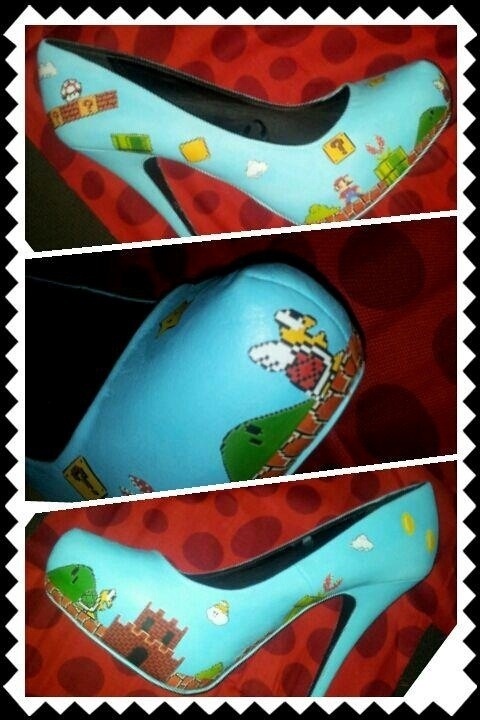 It’s ok.
Posted in Nerd's Wife Favorites	Tagged heels, Shoes, super Mario bros.